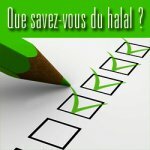 Several European countries are banning and/or making it difficult for Religious slaughter ( without pre-stunning or post-cut stun), while selling & exporting a different version of halal meat products (pre-stunned) to Muslim countries and Muslim minorities. 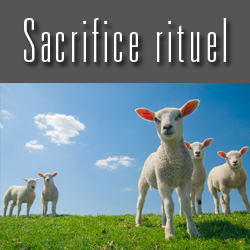 In France, religious slaughter is authorized, by derogation under conditions. These last are abviously monotorated by the veterinary inspector. Dr Hani Al-Mazeedi, a director member of World Muslim Consumers Organization, received a message from a French Veterinary. This last suggests to use post-cut stun, if the conditions are not met that is the animals suffer. I am a veterinary doctor working in a slaughter and would like to understand more on the proper way to kill bovine and ovine animals : I would like, if possible, to respect the muslim religious convictions, but will try my best to avoid too much animal suffering. Is it allowed to stun an animal after cuting his throat ? If no, can you explain me why ? If yes, how long should we wait after cuting the throat to stun ? can we do it just after ? I have try to read about it but it is difficult to find out the truth. When the men in charge of the killing is a good professional, there is no problem, and the animal die quickly, but quite often, the animal take a long time to die and suffer. Considering the respect of life and animals, and the tolerancy of the prophet Muhammad, and his wisdom, what is a good way to react when the killing take too much time ? Thank you very much for your kind message. May Allah reward you for the interest you give to the Human Islamic method to sacrifice animals. To answer your questions let us expose you the Islamic Way of Slaughtering Dhabh for Cattle/Sheep/Birds. Muslim religious slaughter is called Dhakat. This procedure is required to make lawful the meat of an animal. It includes of three methods. The first method is the Dhabh (sticking). This is the most common method and is subject to conditions and rules of decorum. It is the slaughtering of the lawful land animals by cutting their jugular veins, carotid arteries, trachea and esophagus. The other two methods involve the slaughter of camels (NAHR) or the felling of an uncontrollable animal (AKR). Muslim jurists are unanimous on the mandatory nature of the Dhakat to make lawful the consumption of lawful land animal. "Prohibited to you are dead animals, blood, the flesh of swine, and that which has been dedicated to other than Allah, and [those animals] killed by strangling or by a violent blow or by a head-long fall or by the goring of horns, and those from which a wild animal has eaten, except what you [are able to] slaughter [it before its death], and those which are sacrificed on stone altars..."
What is DHAKAT (ذکاة شرعی) ? DHAKAT (ذکاة شرعی) is not only the name of killing animals, but there is a specific religious law way of killing animals for Muslims. This specific way is not depended or governed by Traditions and Customs but it is A specific religious process that is called in Islamic Fiqh a Worship Act/Matter (امرتعبدی) that means totally depend on Islamic Law no way for analogy قیاس . Now Sharia Scholars say that DHABH is for cattle, sheep and goats etc. and NAHR is for camel. For example, THE GRAET IMAM MALIK رحمہ اللہ has clear opinion of HARAM about the meat of that animal killed by other way of Islamic Law such as DHABH in camel and NAHAR in Cattle or Sheep. In fact, any worship act must be based on religious texts. There is no way to modify a worship act in Islam that is clearly exposed by the Holly Quran And Sunnah. That’s why all kind of stunning before or after DHAKAT are prohibited. Also, this is the position of Muslim Consumers around the world. Stress before Dhakat must be avoided. If you note that animals don’t fell quicly, you should check the performance of your plan and your process standards. 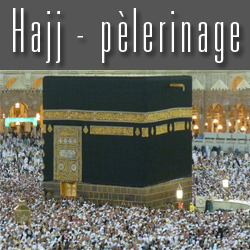 Please, note also that you should adress such religious matter, locally, with the French Islamic representative that is CFCM as we know. 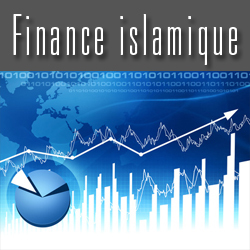 In fact French Muslim consumers needs and requirements are expected to be met in France in accordance with human rights. To learn more about Muslim consumers, you can also adress your questions to ASIDCOM.